It’s that time of year when we look forward to the 12 months ahead and resolve to do something better than we have been. I can’t help you quit a vice or do more or less of the habit in question, but I can help you with a new perspective on trading. If you’re visiting this site and reading this, you probably enjoy trading Magic cards. At worst, you might view it as a necessary evil, a way to exchange what you don’t want for things you do want. Perhaps you even make a living off your trading skills. If you enjoy the process of trading as much as I do, you might be astounded to learn that there are a lot of players who view the process with anxiety and trepidation. I’m here to help you understand some of the concerns and share some tips on how to minimize those fears. Special thanks to my wife, who reached into her past to recall when trading was unpleasant, and shared some ideas on how to make it easier for all. Even the innocuous question of “Did you bring things to trade?” is loaded with presumptions. You’re assuming that someone knows to bring such cards, that they are at least a little organized, and that there are other cards they desire to trade for. Not everyone is ready for that level of interaction outside of the structure of a game of Magic. There’s a significant number of Magic players who lack social skills. They see Magic as a competition, a way to show that they are better than someone else. Trying to trade with that viewpoint is difficult and dangerous. You’re not going to have much success when you go into every trade scheming how to ‘win’ the trade, especially if you are the type to brag about it afterwards. A glaring example of poor social skills is when you’re being impatient with someone. Don’t be the person who is trying to hurry up a new player. It’s good that you know what the price is on a card–allow them the courtesy of checking for themselves and thinking about the trade. Don’t subject them to you repeating what the price is over and over in an attempt to hurry up to the next trade. Similarly, sometimes people just don’t want to trade away a certain card. It will have sentimental value, or they just want to keep it. If you keep nagging at someone to give it up in trade, you’re being awful. How to change this: Remember that trading is a quest for both people to come away happy. Making both sides feel like they won is a skill, and one that will lead to more trading opportunities. Don’t pressure people into starting, continuing, or finishing trades. MTGPrice and other financial websites, and I include Twitter in this viewpoint, actually encourage a knowledge gap. 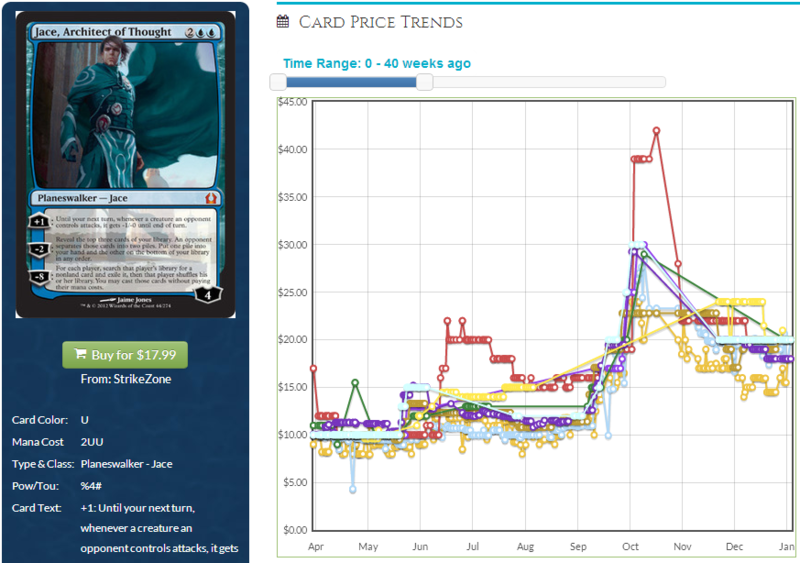 Spikes in cards over a weekend can be exploited, via buying cards from stores that didn’t update their prices or trading from people who didn’t get the news that Jace, Architect of Thought went up $15 in the past twelve hours. Barely any anxiety at all is needed for someone to perceive even reputable traders as a sack of barely-contained evil. 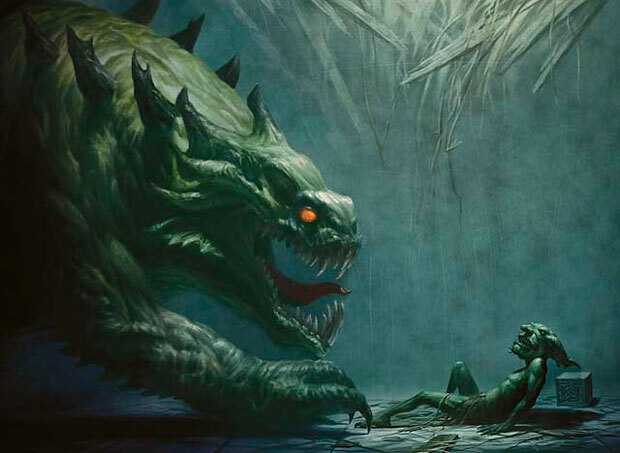 If you’re asking every person at FNM to see their trade binder, someone who is anxious will see that as searching for the weakest link. You’re simply trying to take a peek at everything people have to offer, but to someone who has been burned before, it appears greedy. How to change this: First of all, know that you can’t always calm someone’s fears. You won’t know for sure what’s going on in your head, so all you can do is set an example. Demonstrate what you use for pricing. Let people observe you as you trade with others. If you’re polite and personable, checking prices and making offers, then it soothes the fears of many. But if someone doesn’t want to trade, let it go. Don’t get persistent, and don’t be belligerent. What I’m really saying to them is that their method isn’t good enough, and by extension, I am a better person/player/trader for keeping my cards sorted in pages. That’s not what I want to say, but that’s how it can come across when I’m dismissive of their system. Even when I’m trying to help by pointing out how damaging it can be to keep unsleeved cards in a box, I’m telling them what to do. How to change this: Let people keep their cards how they wish. Be respectful if you feel compelled to point out when they are damaging cards. Understand that they may not wish your advice, especially if they’ve been doing it this way for a while. Newer players may be more receptive, or they may not want to hear your lectures. Well, the truth is that not everyone knows how awesome we are. Take the time to share with them. TCGplayer has the unfortunate characteristic of a “race to the bottom” and that can skew the TCG mid. I like the aggregation of MTGPrice and I use it regularly. But if a more apprehensive trader prefers TCG or Starcity, consider using what they prefer–and remember that you can always walk away if things get imbalanced. How to fix this: Keep in mind that for new players, there’s often a sentimental attachment to certain cards. Be respectful of their habits, and talk about why you like using MTGPrice more than some other site. For brand-new and very fearful traders, consider throwing in some extra cards or give them a touch more value. A little extra now is worth it to create another member of the community. I hope your new year is full of value and correct speculation!